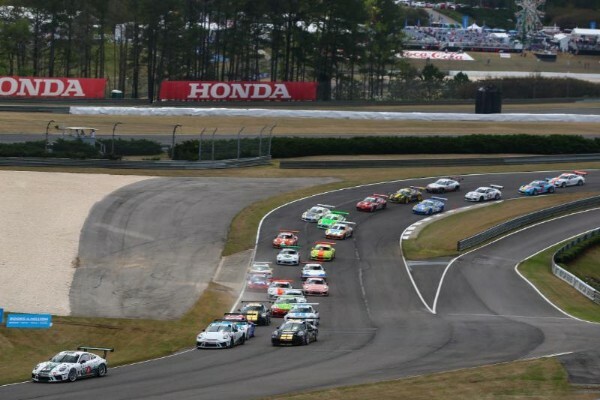 Roman De Angelis had a perfect opening weekend to the 2019 Porsche GT3 Cup Challenge USA by Yokohama season at Barber Motorsports Park. The 18-year-old from Belle River, Ontario started both 45-minute races at the picturesque, 2.3-mile road course from the pole position in his No. 79 Racing for Children’s Kelly-Moss Road and Race Porsche 911 GT3 Cup machine. On Saturday, De Angelis pulled away from the drop of the green flag and was never challenged en route to victory in the season opener. Sunday’s race was a carbon copy for the red-haired racer. De Angelis got a nice jump at the drop of the green flag and never was challenged en route to his first weekend sweep in the GT3 Cup Challenge USA’s Platinum Cup class for 911 race cars built between 2017 and 2019. He crossed the stripe 21.227 seconds ahead of Riley Dickinson in the No. 53 Moorespeed Porsche. “I think people underestimate how difficult it is when you have that big of a lead, or just to pull it,” De Angelis said. “It’s not easy to be that quick. Even with a really good car, you still have to hit all your marks, all your braking zones and just focus on what you have to do. With the weekend sweep, De Angelis comes out of the season-opening doubleheader as the early leader in the Platinum Cup championship standings with the maximum 70 points. But with back-to-back second-place runs on both Saturday and Sunday, 16-year-old series rookie Dickinson is very much in the mix. The Texan trails De Angelis by six points, 70-64, with 14 races still on the calendar. Also, for the second consecutive day, Parker Thompson came home third in the No. 3 JDX Racing Porsche. 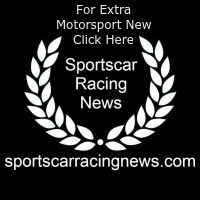 The Canadian ran much of the race without his front splitter and was embroiled in a heated battle for the final podium spot with his JDX Racing teammates Jeff Kingsley and Sean McAlister, but he held on to preserve a double podium weekend in his first time racing sports cars. Kingsley wound up fourth in the No. 16 JDX Racing Porsche, while Alan Metni scored his first overall top-five result ever and his second consecutive win in the Platinum Masters class for drivers 45 years of age and over. Metni, who drives the No. 99 AM Motorsports/Kelly-Moss Porsche, is the reigning Platinum Masters champion and got his title defense off to a perfect start at Barber. Fred Kaimer came home second in Platinum Masters in the No. 23 NGT Motorsport Porsche for the second straight day as well. As a result, he’s second in the Platinum Masters standings by the same, 70-64 margin as in the overall Platinum class. Fred Poordad completed the Masters podium with a third-place showing in the No. 20 Wright Motorsports entry. In the Gold Cup class for 911 GT3 Cup cars built between 2014 and 2016, Kurt Fazekas scored his first victory of the season in the No. 52 Porsche and preserved a sweep of all three class victories for Kelly-Moss Road and Race. Fazekas also won the second Gold Cup race at Barber last year. To do it this time, he prevailed in a battle over Gold Cup polesitter Rob Ferriol in the No. 5 TPC Racing Porsche. A last-lap incident left Ferriol 31.304 seconds behind at the checkered flag. Fazekas also earned the Yokohama Hard Charger Award as the Gold Cup driver who improved the most overall positions from start to finish, gaining a total of nine spots in the 45-minute race and finishing 10th overall. “We were really fortunate to get there,” Fazekas said. “We had such a poor qualifying effort. It’s really difficult pedaling through all these young guys. I’m too old for this stuff. I’ve got to start working on cardio, because I’m winded. Ferriol salvaged a runner-up result from a weekend that saw him start both races from the Gold Cup pole position. On Saturday, a Turn 1 incident took him out of the race without completing a lap. Saturday’s Gold Cup winner, Sebastian Carazo, went home with another trophy on Sunday, finishing third in the No. 27 NGT Motorsport Porsche. As Fazekas mentioned, that makes him the Gold Cup points leader by two points, 67-65, with two races in the books. Next up for the Porsche GT3 Cup Challenge USA by Yokohama is a pair of races at Mid-Ohio Sports Car Course on the weekend of May 3-5 as part of the IMSA WeatherTech SportsCar Championship Acura Sports Car Challenge at Mid-Ohio.